Consistent presentation of sales, promotions, and up-sell prompts combine to increase order size. Give your customers the power to customize their orders according to their preference. With easy navigation and built in user guide, your customers will be able to send orders to the kitchen seamlessly. Create your menu like a pro! Customize the theme, upload HD photos and videos to make your food appear more enticing, add spice or allergen filters and so much more. Categorize the menu items accordingly and promote your best-selling dishes effortlessly. 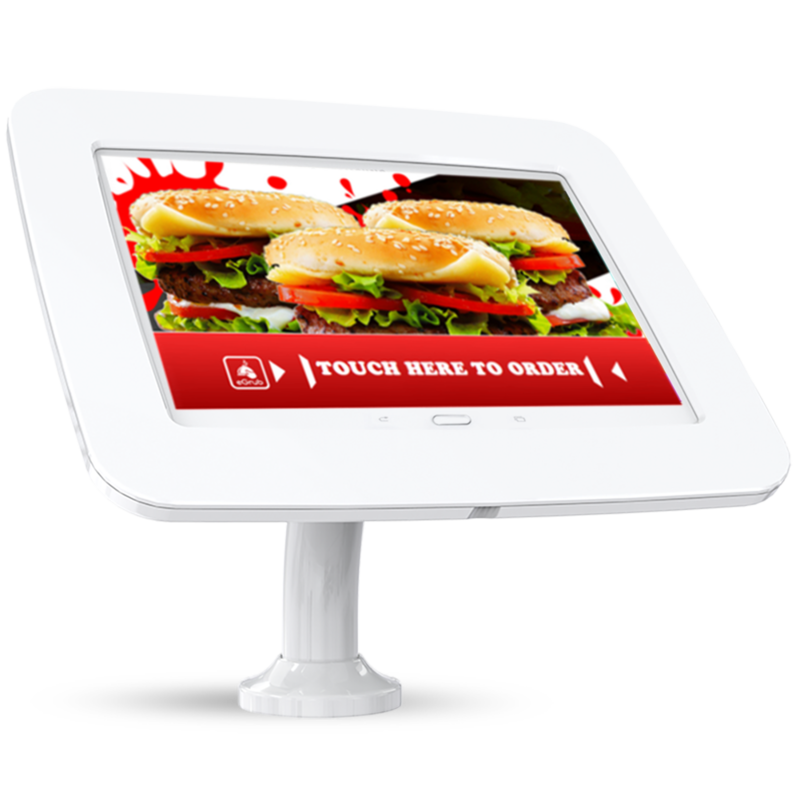 Attract more customers by engaging them in interactive digital ordering system. The society’s growing fascination in digital technology, raises customer curiosity and satisfaction. Get your customers hooked on, the enticing dishes you have uploaded and the unique, excellent customer service of your restaurant. 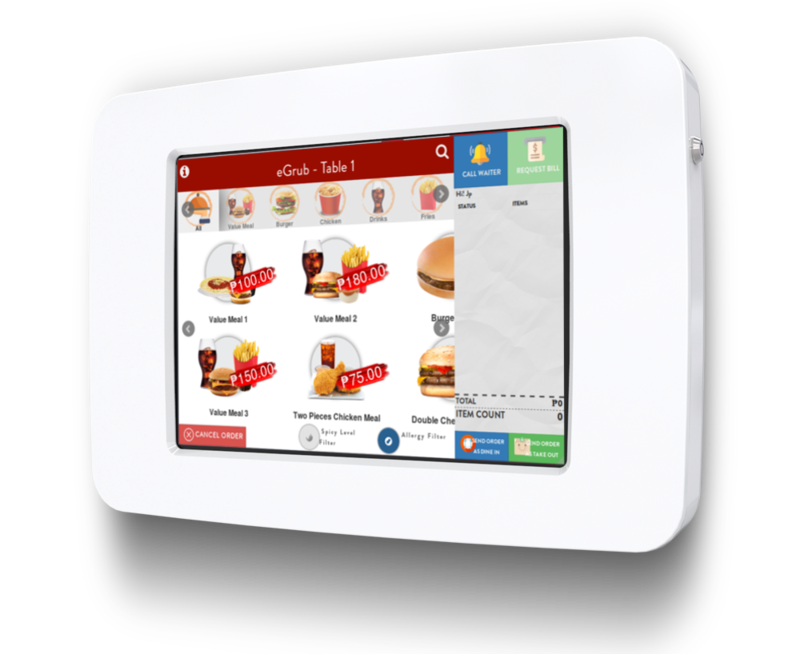 Reduce your restaurant’s need for manpower by automating orders giving them more free time to attend to other customers and lessen the need to schedule more servers during busy hours. Diminish the need to reprint menus whenever new items are added to the menu. Take orders directly from the customers to the tablet and eliminate the horror of delivering wrong dishes to your customer’s table. “Call Server” button is just a touch away, notifying the servers that a customer needs assistance without the hassle of calling out the server’s name loudly. Display the running bill while the customers order. Eliminate the risk of recalling the already ordered dish, thus, making the order process easier and more efficient for both the customer and the server. Track your restaurant’s more popular dishes of the week automatically. Data collected can help you forecast for future demand, ensuring that your kitchen has stocked up on the right amount of ingredients for every dish. Cut down on any wastes generated from ingredients not used due to the lack in demand for certain dishes. Well guided ordering without waiter assistance. We provided icons and prompts to easily incorporate functions to customers and users. Restaurant App is filled with useful functions so we provided a way to inform users how to expedite the usage of restaurant app. 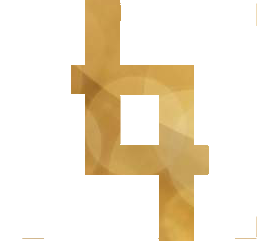 Customers can view descriptions and images of products throughout the order process. 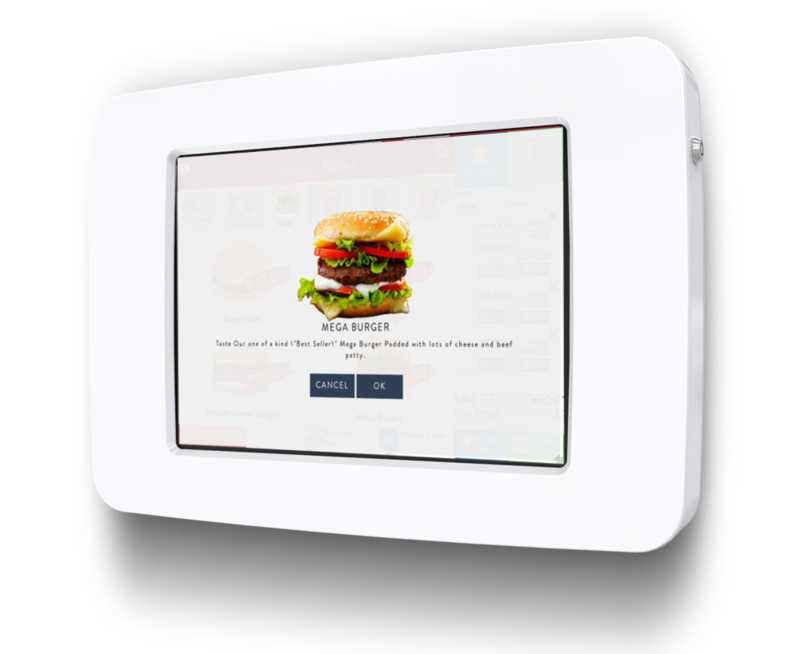 Restaurant menu can be so many it will be hard to swipe through all items and categories, so we provided a way to search specific items through live search. 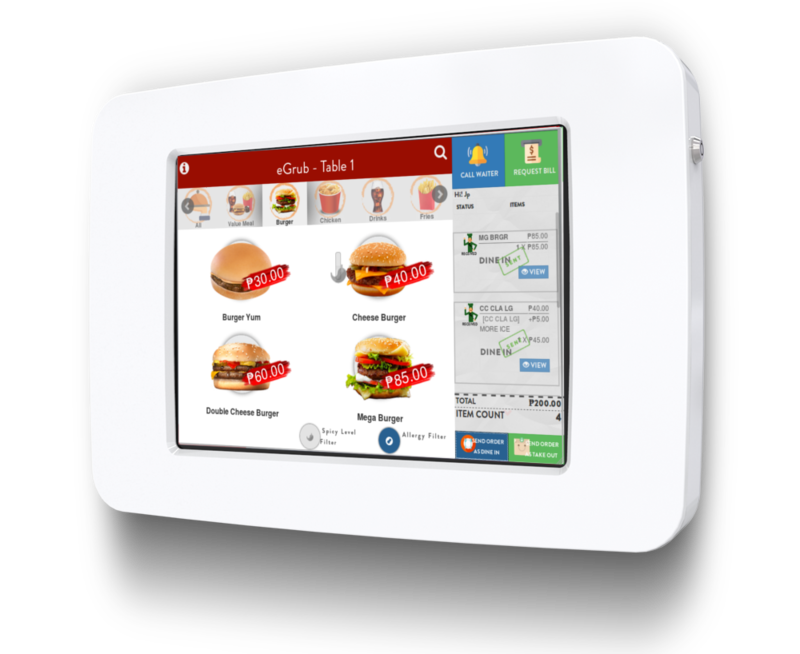 We provided an interface where customers can simply type in a specific service request or pick from the generic waiter functions such as clean table, etc. 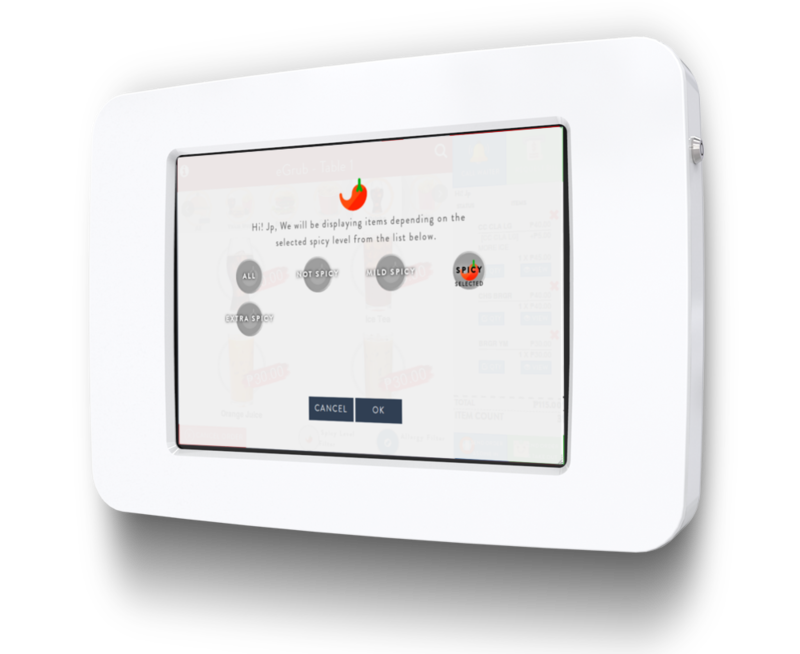 Customers can only view menus depending on the spicy level selected. To avoid triggering allergies, we provided customers an interface wherein they can hide items which has an ingredient that may trigger their allergies. Consistency is one of the key on promoting you products, we provided a way to inform customers about possible order combinations and suggest other menu that might interest them. 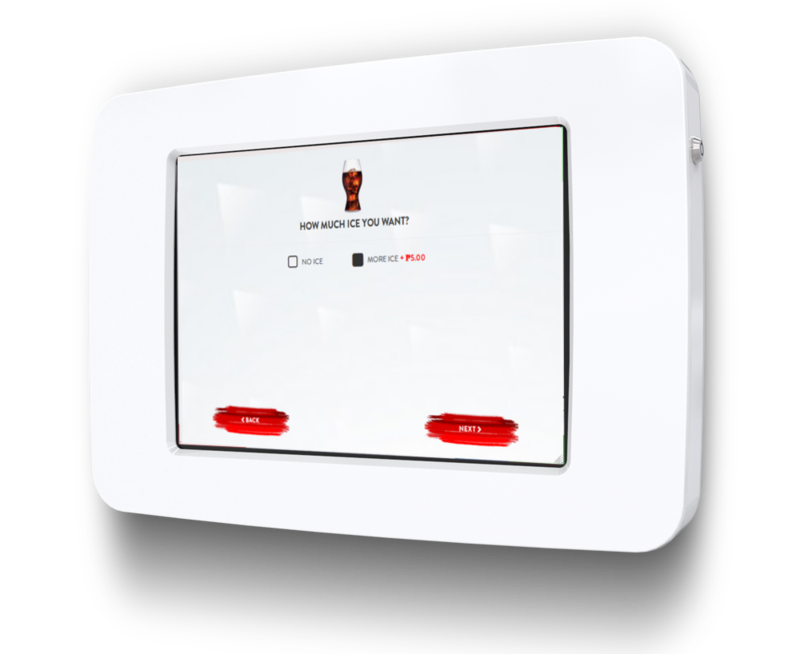 We provided a way for customers to be able to place modifications for items they want to order. 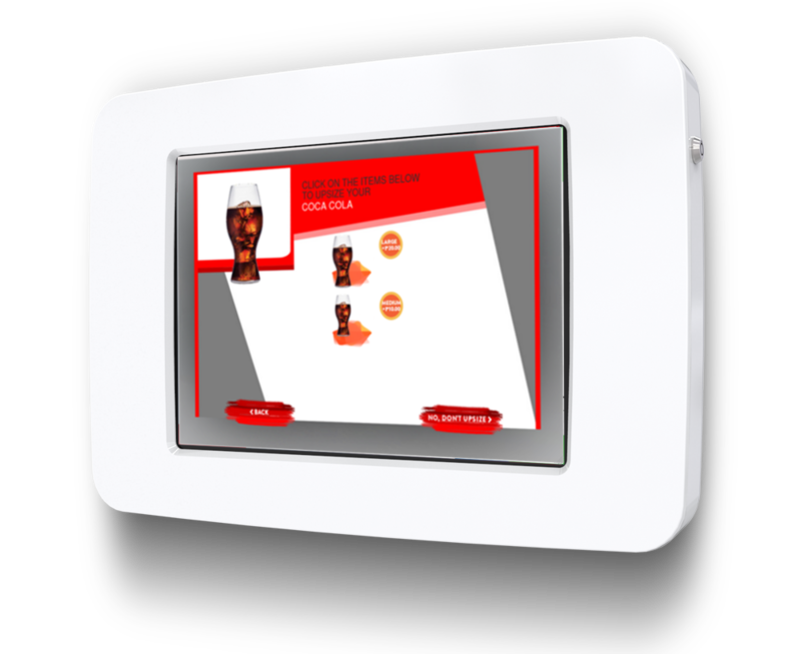 It is a standard in almost all restaurants to ask customers regarding sizes for products they will be ordering, we provided a way to detect which items is upsizable and ask customers if they would prefer an upsize for that product. We provided a way for customers to change product's spicy level. View order item's details, from description, image and prices, to special requests and upsizes. 5 Star Hotel in Batangas, for a luxurious and elegant staycation.